Jeryn is an associate in the firm’s Litigation Section. 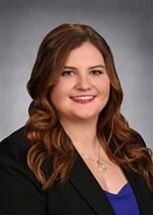 She is licensed to practice before all Texas state courts and the United States District Courts for the Northern and Western Districts of Texas. Prior to joining the firm in 2018, Jeryn served as a briefing attorney for the Honorable D. Gordon Bryant, Jr., U.S. Magistrate Judge for the United States District Court Northern District of Texas. She also served as an extern for Justice Eva Guzman of the Supreme Court of Texas. Jeryn represents clients in defending and pursuing actions related to oil and gas disputes, business disputes, employment issues, personal injury, and a variety of other civil matters. In addition, Jeryn assists senior litigation attorneys with research, drafting pleadings and discovery, and the daily management of complex cases.